After writing my previous blog post, "5 examples of amazing print", I was inspired to dive back into my research and find more amazing pieces of print to share. Print really does allow you to be so creative and speak to people in a way that other forms of media can't. The following products caught my eye straight away and I couldn't help but share them! This amazing piece of print was created by Saatchi & Saatchi for the Israelian energy company Shiku & Binui Solaria, who focus on green power. 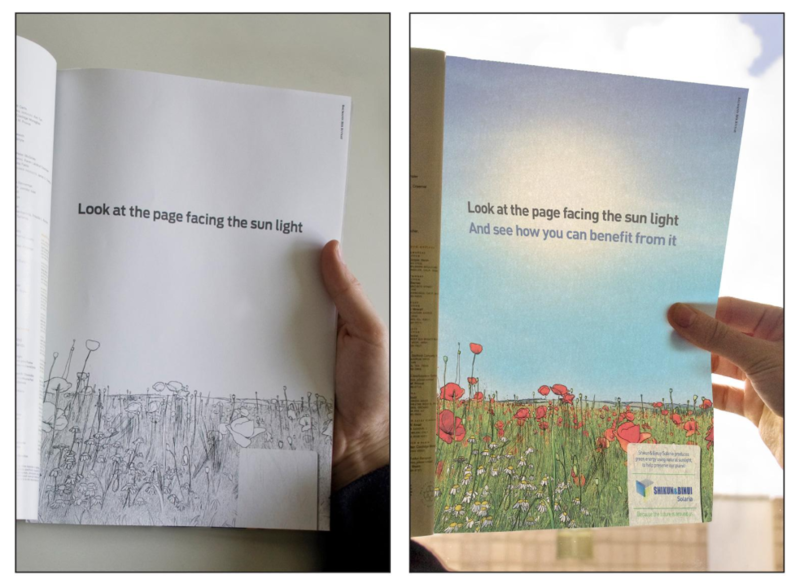 They created this ad to draw attention to the purpose and importance of sunlight. The idea behind the ad was that looking at the page normally, there would be no colour and it looks quite boring. 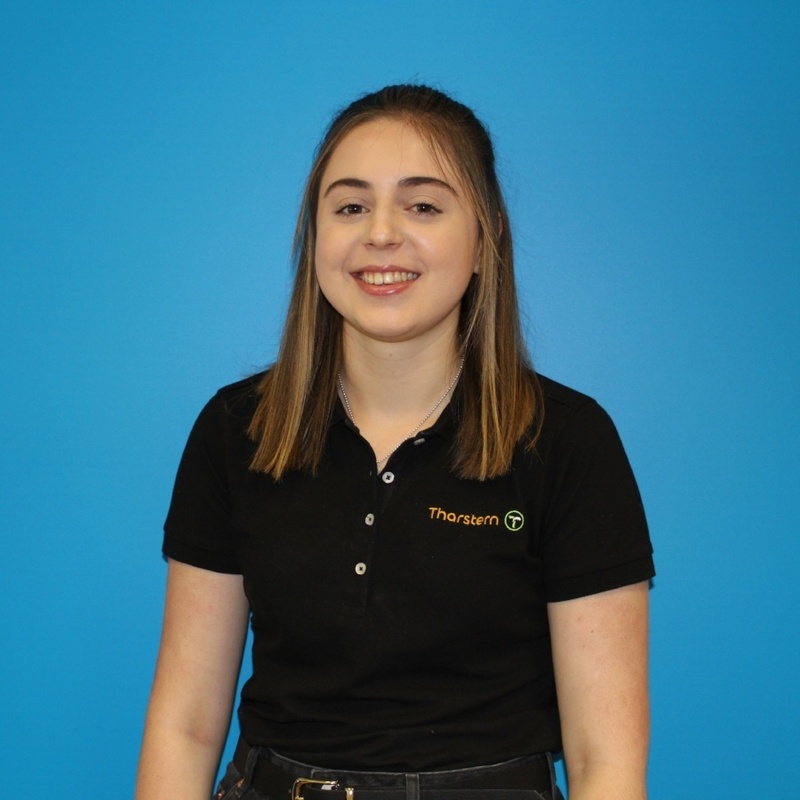 Whereas when you follow the directions on the page and hold it up to the sunlight, the image fills with colour and an extra line of text appears pointing out the benefits of sunlight. This piece of print definitely isn't ordinary and is something I'd never expect to see, but I think that it's really effective. 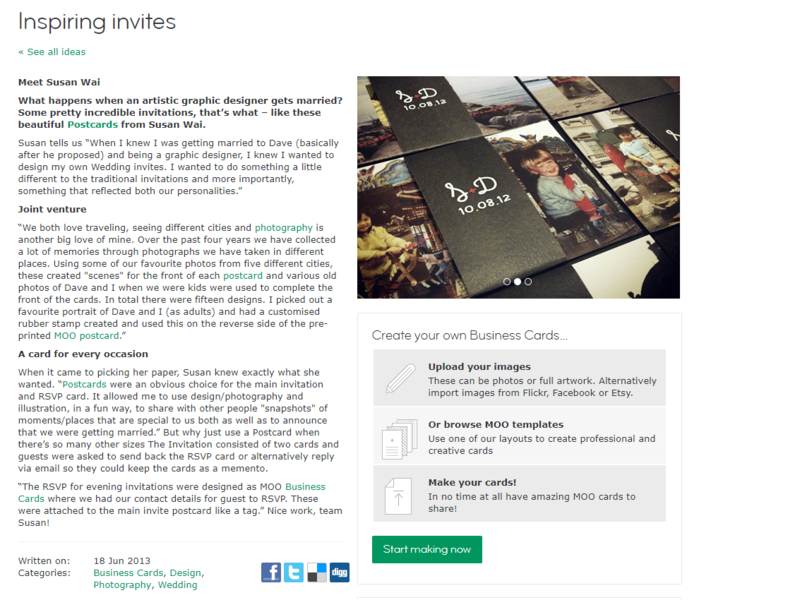 Moo are a print and design company who create things like business cards, stickers, postcards and much more. They created wedding invites for Susan Wai who wanted something non-traditional and personal that her guests could keep. Moo offer to create personalized postcards which is what Susan chose as her wedding invites, and I think it's such a good idea. They include pictures of them as children, along with memories of them travelling. I love this idea as it has been well thought out and the personalization makes it feel more special. The inspiration page for this print on the website explains more about the idea behind them and there is input from Susan herself about the product and why she chose it. I love when companies have inspiration pages on their website because it's great fun to look through and helps inspire others to create some interesting print. 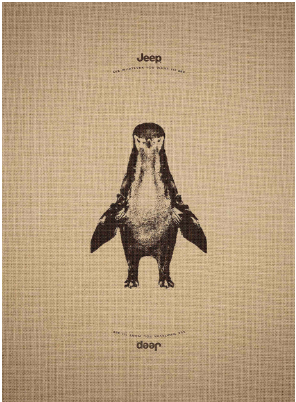 Leo Burnett created an ad campaign for Jeep with the slogan, "See whatever you want to see”. The reason this piece of print is so cool is that there is an unexpected twist. When you first look, you see the image of an animal (for example, the animal on one of the pages is a giraffe). But when you flip the page upside down, a new animal appears without anything changing! (The giraffe turns into a penguin once flipped). I think this is an impressive idea that will definitely spark discussions, leaving viewers amazed at how it's been done, like an optical illusion. This shows that advertising doesn't need to be digital to be creative and different and that print is still being used in many different ways. This print is slightly different to everything else I've shared as it's not traditional print. 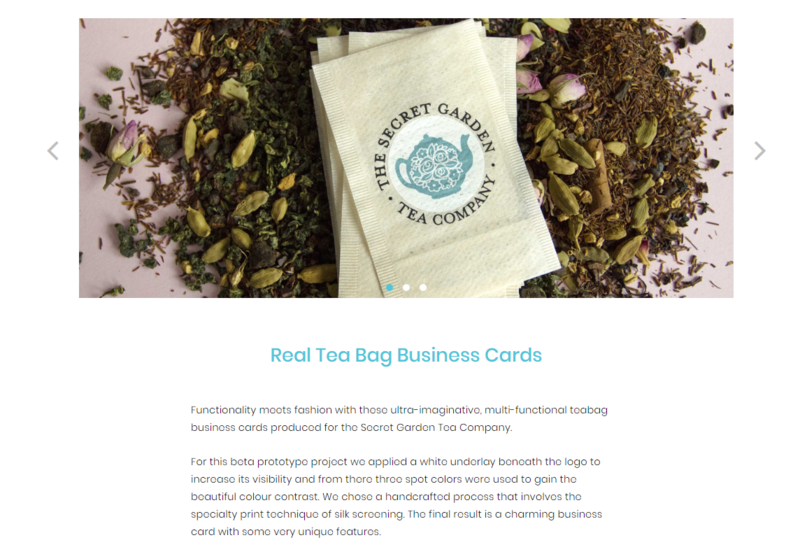 This piece is a business card created by Jukebox for The Secret Garden Tea Company made from a tea bag! I absolutely love this product as I've never seen anything like it before, it would make the company stand out and I think people are more likely to take notice of this business card and it's not just something that can be placed to one side and ignored - it will always attract attention. 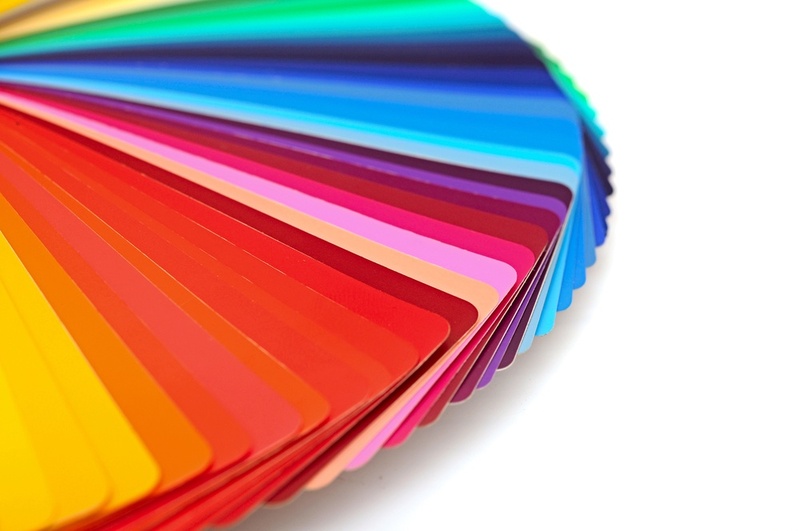 The technique was a speciality print technique called Silk screening and the website page explains the process of creating a prototype for the project. Within their advert in a magazine, DHL wanted to portray their super quick delivery and the idea they came up with is genius. They decided to created a double page spread with a transparent page in the middle. 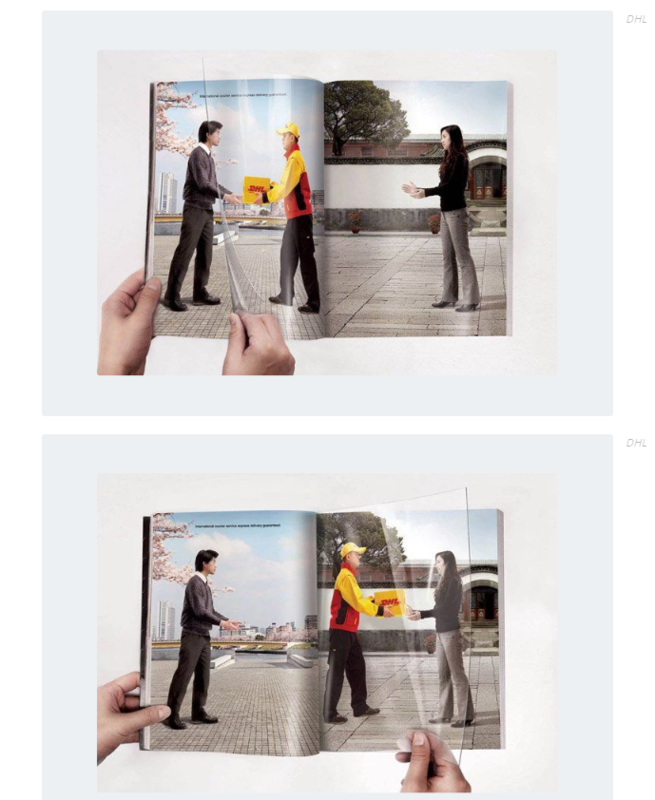 The transparent page had the image of a courier collecting a DHL parcel from one person, and when the page us turned, they are delivering it to the other person. What a clever idea! I think this is really original and it would definitely catch my attention and make me want to look into it more. This is a more creative way of using print as there is no text on the page, just images, which allows the company to get across their message without having to state it which is an impressive thing to achieve.